There are those moments that you feel completely down about life. I know that I have those times that I’m just in a down mood. And really want to get myself back up again. Thankfully, there are those anime series that are lighthearted and funny to make feel happy once more. New Game! is definitely one one those. It centers around a girl named Suzukaze Aoba, who just graduated from high school and has joined a game company known as Eaglejump. It’s there she gets acquainted with and befriends a lot of her co-workers. They have some adventures and are enjoying life. It’s cute, funny, and I enjoy watching every minute of it. 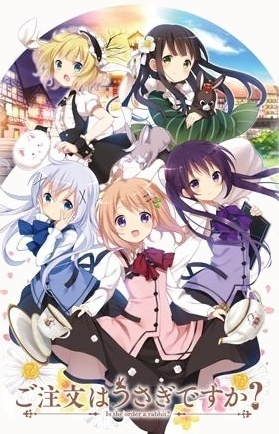 Now maybe you need a series like this or two, so I came up this a list of 8 anime like New Game! And hopefully, these will help you get you out of a bad mood as well. Let’s kick off this list with an anime that I would say is close to my heart. It seems like it was yesterday when Aoi Miyamori and Ema Yasuhara were members of a high school animation club. It was there that they started their very first production animation short and sent it to a festival. Now, there are at a famous production company called Musashino Animation, in Tokyo, where they made their dream into a reality. It isn’t easy as they thought at first but with hard work and dedication, they will prevail and do what they love to do. What makes this close to my heart is that is people who follow their dreams and make it into a reality which is the same for me. This series has some great writing in it and superb animation. A definite must watch. 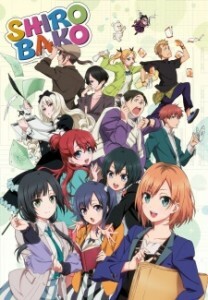 Now, Shirobako was comedy and drama, so you had parts that were funny and serious. 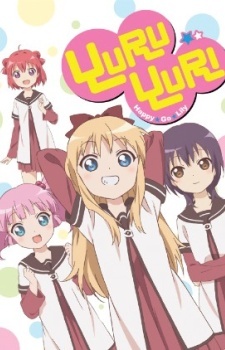 YuruYuri: Happy Go Lily causes straight up side hurting laughter. 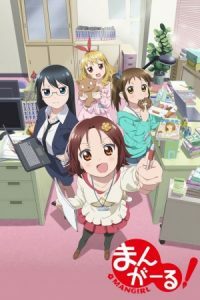 Akari Akaza is finally reunited with her childhood friends Yui Funami and Kyouko Toshinou, in her first year of high school. The trio gets into some wacky high jinx during their time in school. As well as having Akari join Yui and Kyouko’s club known as Amusement Club, the purpose of the club being just to entertain. This is a very funny, and it will bring you to tears from laughing. When you need a good laugh, watch this series. Kokoa Hoto has finally started her new life. She moves to a new town and needs to find a place to live, so she can be able to go to school. Fortunately for her, she stumbles upon the Rabbit house, a coffee house which happens to be a boarding house. Now she juggles both work and school and also learns new things along the way. This is a very cute and bubbly anime. 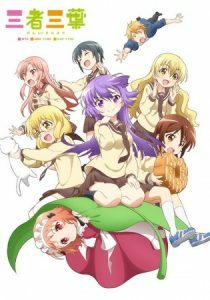 This could be considered a little sugary for most people but if you want that sweet and fun anime, this is the show for you. So this is for those who want to get into voice acting. Futaba Ichinose just entered the world of voice acting and is finding out that it’s very competitive. She befriends two other voice actors, Ichigo Moesaki and Rin Kohana, at which they all help each other out through the good times and bad of the industry they work in. In some ways, I would consider this a masterpiece. I would also recommend this for those who want to get into voice acting. It does give you an idea of how the business works. Are you ready to rock out to this anime series? Hirasawa Yui is a very carefree young girl in high school. 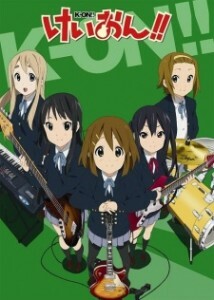 A poster advertisement of a music club catches her eye and she goes to join but admits she can’t play any instrument. Despite that, the members want her to join, so they can at least have four members and not have the club be disbanded. Soon enough, Hirasawa learns how to play the guitar and they are going to perform at the school festival but will Hirasawa be ready in time? It’s a bit of a silly story and has that cuteness injected into it. The Blue Mermaids is a marine army unit. 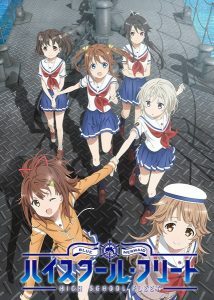 Their mission is to protect the seas of Japan. 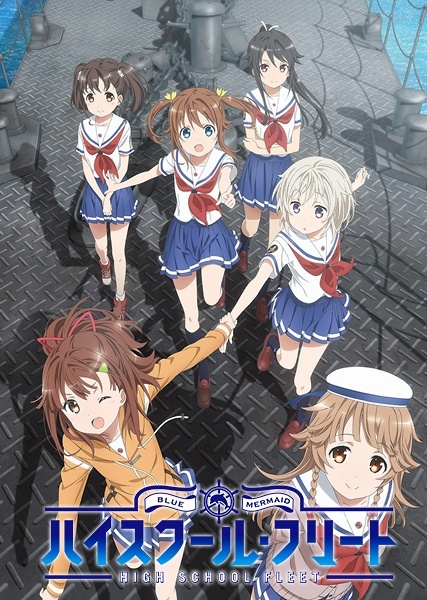 Childhood friends Akeno Misaki and Moeka China hope to one day become Blue Mermaids. This more of action anime, it is still fun to watch. Three girls with different personalities are about to clash with one another and become the best of friends. And hopefully be able to survive their day to day lives in high school. When you combine cuteness, with comedy, and a slice of life you get this amazing anime. Highly recommended. A bunch of girls decide to run their own magazine company. The problem with that is they don’t have any experience what so ever and they run into many failures. But with hard work they will get their company up and running. If you’re looking for something to watch after a hard day’s work, you can give Mangirl! a try.